Bensonwood, a custom timber frame design/build firm in Walpole, N.H., has developed the Tektoniks brand of prefabricated building components. The new brand will specialize in the efficient production of closed panel enclosure systems, timber fabrication products, and architectural millwork. Products will be manufactured in both existing Walpole facilities and a new 110,000-square-foot facility in nearby Keene, N.H., which was recently outfitted with a solar array that will produce 40 percent of its energy needs. With the expansion, the company hopes to push others to rethink the near-stagnant building industry, which is “in dire need of change,” says Tedd Benson, the company’s CEO. 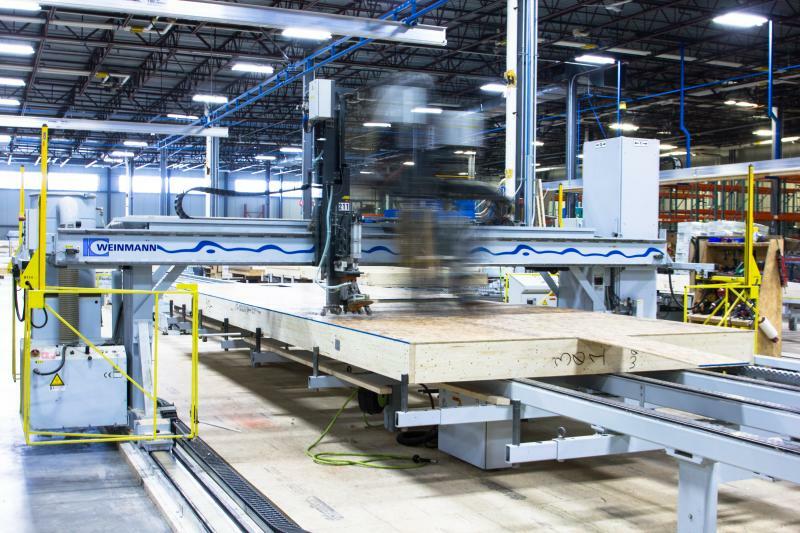 Using automated equipment from Austria, Germany, and France, Bensonwood facilities already manufacture wall, floor, and roof panels and other timber products for its homes and the homes of its sister company, Unity Homes. The Tektoniks component line will make Bensonwood prefab products available to the building community at large. Bensonwood specializes in timber frame construction and has been using prefab construction methods throughout its 45-year history. Its signature “montage” construction system, which, guided by a precise virtual model, involves manufacturing building pieces in an off-site factory and assembling on-site. The company says this method improves accuracy, saves time, and requires less labor than traditional methods. 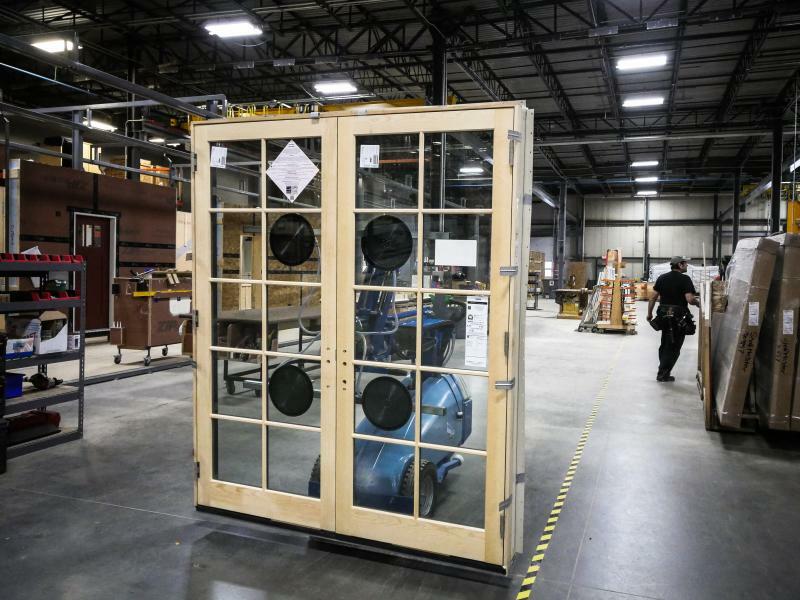 Bensonwood also says the fabrication process for Tektoniks products produces less waste than traditional methods and keeps the factory and jobsite connected, reducing the chance for jobsite mistakes. This is awesome. What a great time to introduce a world class efficiency system. I read an article in Fine Homebuilding about 25 years ago introducing SIP's etc. The author was promoting off-site fabrication and used an amazing analogy: :Having a load of raw lumber delivered to your jobsite in this day and age is like ordering a car and having the whole thing show up in crates with no two pieces fastened together. Who would buy a car like that? There is no reason a home can't be built in the same manner.